Actually, that term covers a fairly wide range of phenomena. The end of the survivalist spectrum the media have seized on recently is the grab-your-guns-and-head-for-the-hills end, because it lends itself most easily to a sensationalistic treatment. At the other end are the timid folks who wouldn’t dream of grabbing a gun, under any circumstances, and are far too citified to survive in the hills anyway, but who have quietly laid in a two-year supply of dehydrated foods. And there are all sorts of marginal offshoots: for example, the retired couple who have made up their minds to sell the family home and move into a condominium, but who are only looking at ads for places which offer a high wall all around with electronically controlled gates, closed-circuit TV surveillance, and an armed security patrol on the grounds. Of course, many people are attracted by real estate advertisements which stress security features, simply because they are aware of the rising crime statistics and want to feel secure in their own homes. They should no more be classified as survivalists than the fellow who keeps a sock full of Krugerrands hidden under his mattress – just in case. For many, however, it goes deeper than that. Among the real estate customers who wouldn’t consider buying a place which can be broken into with anything less than an M-60 tank are a few – a growing few – who feel a sick fear in the pits of their stomachs, the consequence not only of the soaring burglary statistics but also of the conviction that burglaries will keep on increasing, year after year, and that the police and the government will never again be able to offer any real protection to law–abiding citizens. These few have concluded that, if they want to be safe in their homes, they’re going to have to find virtually impregnable places to live, where they don’t have to count on the government to keep burglars or rioters out. They are survivalists. And among those who are laying in a long-term supply of dehydrated foods or converting half of each paycheck into gold coins there are also a growing few who are convinced that some day – they don’t know exactly when, but some day in the next few years – they’re actually going to have to eat their dehydrated larder, because the supermarket shelves will have been stripped bare by hungry mobs, or they’re going to need those gold coins in order to purchase the necessities of life, because Federal Reserve notes will be worthless. They, too, are survivalists, of a sort. There is one element which is common to the entire survivalist spectrum. It is a loss of faith in the System. There has always been a certain amount of paranoia in the population, a certain number of people who deeply distrust the government and are sure something awful is bound to happen soon. The survivalist syndrome is much more than that, however. It affects more than right-wing gun nuts and elderly cranks with funny theories about money. More and more perfectly normal people are simply looking very carefully at what is going on around them in America, and the sight is raising the hairs on the backs of their necks. [Updated graphic] SURVIVALIST publications have been sprouting up like mushrooms after a summer rain. They range from slick, multicolor magazines for the newsstands to mimeographed newsletters with tips on edible roots, knife fighting, and homemade explosives. Readership – just as involvement in survivalism – is almost completely White, as a glance at the advertisements reveals, although Jews are moving into the sale of survival equipment and supplies. Having also observed that their government not only is not doing anything to stem the non-White flood but is leaving no stone unturned in its efforts to increase it, they don’t waste their time writing letters to Congress. Instead they begin thinking seriously about the relative merits of 5.56mm semiautomatic rifles with 30-round magazines, and 12-gauge pump-action shotguns loaded with No. 4 buckshot for fending off dusky hordes of frizzy-headed marauders. Even liberals are beginning to take note of what the policies they have mindlessly advocated for the past 50 years have done to the world, and it scares the hell out of them. Although they would never admit it to the other liberals they rub elbows and snort coke with at fashionable cocktail parties in Washington and New York, a few of them have also been quietly laying plans for a quick getaway when the day of reckoning comes. Some readers with long memories may recall the fallout-shelter debate of the 1950’s: the “cold war” era when the government was at least dabbling in civil defense preparations, and many citizens were taking the idea of a nuclear attack on the United States by the Soviet Union quite seriously. Cellars were stocked, Geiger counters were purchased, and much hand wringing was wasted on the ethical problem of the grasshopper and the ant. Many of the “ants” – those who had prepared and stocked fallout shelters for their families – indicated that they would not hesitate to shoot any improvident, grasshopper-type neighbors who came pounding on the doors of their shelters after an attack. Predictably, the media pundits were horrified and were very much on the side of the grasshoppers. 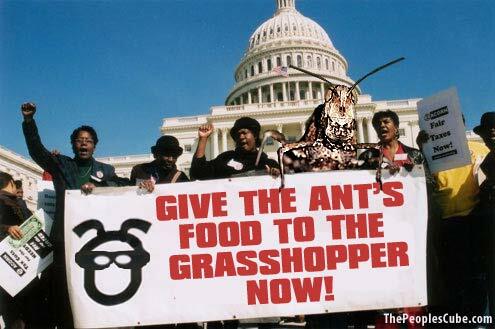 Some of the “ants” of the 1950’s may properly be considered survivalists, but the majority of them were by no means alienated from the System. Many, in fact, were political conservatives, who liked things the way they were and thought of the System as a bulwark against communism and chaos. That was before JFK, LBJ, and the “civil rights” revolution of the 1960’s, of course. Today the all-out survivalist recognizes the government as the primary threat to his survival. Far from wanting to keep things as they are, he finds conditions increasingly intolerable. He is intelligent enough, or has good enough instincts, to realize that the policies the U.S. government has been following for the last few decades are inevitably leading to a total disaster. He finds himself in a surrealistic, almost nightmare situation, in which he sees the people all around him blithely marching to their own destruction. He does not know whether or not he is the only sane person in a world gone mad, but he does know that he does not intend to be destroyed along with everyone else, if he can help it. He has become totally alienated from the suicide-bent society in which he lives, and he is looking desperately for a way to get off the boat and far enough away from it so that he won’t be sucked under when it goes down. So, one can recognize three distinguishing traits in the survivalist: a sturdy sense of personal identity, which allows him to think independently and choose a course separate from that of the herd; a strong will to survive; and alienation from the present society and the System which rules it. In addition, many survivalists have a fourth trait: an intuitive spiritual rejection of modern society which goes beyond mere political alienation. This last trait – which many who are not survivalists also share – manifests itself in various ways. In some it is expressed as a desire to “get back to Nature”; in others it takes the more negative form of hostility to modern technology. It is based on an intuition that the modern, urban-industrial lifestyle is unnatural and unhealthy, as well as personally unsatisfying and even repugnant. Thus, one finds among survivalists many with unusual dietary notions and a prejudice in favor of “natural” foods; a strong interest in useful, pioneer-type arts and crafts, such as the preservation of meat and other foods without refrigeration, or home weaving or home cobbling; an itch to build windmills, waterwheels, and other gadgets typical of an earlier and less interdependent era; a tendency to distrust the medical profession, with all its modern paraphernalia, and to rely instead on “home remedies,” including home childbirth . Part of this is rationally related to the survivalist’s interest in enhancing his own survivability by making himself more self-sufficient, but part of it is often a confused rationalization of a deep-seated – even subconscious – feeling having more to do with instinctive behavior patterns than with modern technology. At root it is not the jet engine, the transistor, or penicillin which the “back to Nature” streak in the survivalist is rebelling against; rather it is the laws, regulations, customs, and constraints of a modern mass-society. Tools – even very complex tools – are “unnatural” to Western man, who has been a tool maker and a tool innovator for a much longer time than he has been man. What is unnatural is the way in which his creative instinct, his fighting instinct, his adventurous instinct, his mating instinct, and his territorial instinct – to use loose and imprecise terminology – have been frustrated or subverted by a society in which the population density is vastly greater, the rules of behavior vastly different, and the channels of expression vastly more tortuous than those to which his genes have become accustomed over the several thousand generations prior to the last dozen or so. [Updated graphic] MEDIA attention is turning increasingly to survivalism as the phenomenon grows…Several recent television “documentaries” have also dealt with survivalism, concentrating on its gun-happy aspects. The fully developed survivalist syndrome, then, might be personified by a man who is convinced that very hard times are ahead for Western civilization; who believes that with a little ingenuity and luck – and a lot of determination, hard work, and careful planning – he can personally avoid those hard times and survive physically while the blood runs ankle deep in America’s cities; and who really won’t be sorry to see the blood start running (whether he’ll admit it or not), because he is alienated from the present System, feels threatened by it, and is looking forward to being rid of it. In real life, of course, there are a lot of survivalists who are not fully developed. Even among those that are, there are still relatively few who have carried their survivalism beyond the hobbying and daydreaming stage: a study of the lore, a stash of hidden guns, an occasional weekend visit to a still-undeveloped homesite in the mountains. Their survivalism is mostly a mental life preserver, something to help alleviate the sense of drowning in the chaos of today’s sinking society. Nevertheless, it is reassuring to see the survivalist phenomenon growing by leaps and bounds from year to year, just as it is heartening to see the booming growth of the “underground economy.” Both are direct consequences of the growing loss of faith in the System by people from every socioeconomic level. Both are signs – preliminary still, to be sure, but nonetheless certain – that the Beast is dying. What is less reassuring is the largely individualist approach to survivalism taken by most of those presently involved. Family-size groups are entirely too small to weather what is coming. An individual or a family of five or six members holed up in a cabin in the hills with a well, a vegetable garden, a wind-driven generator, and a rifle or two may comfortably ride out a brief period of urban rioting, but in the event of a prolonged breakdown of governmental authority they will be sitting ducks for marauders. A survival group with fewer than about 10 adult males organized into a structured defensive unit will be able to present little more than an amusing – and temporary – challenge to a determined gang of armed non-Whites roving the countryside. Beyond this tactical inadequacy is the lack of any long-range planning. There are virtually no survivalist groups with even tentative plans for educating their children in any comprehensive way, for going on the offensive against the cities when the conditions there have ripened sufficiently, and for eventually building a new society on a sounder basis than the old one. 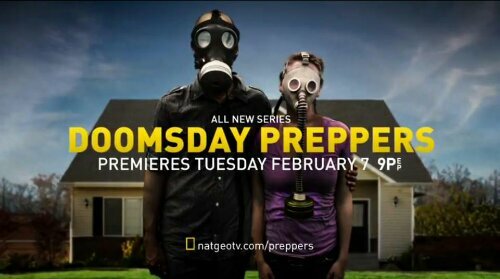 As the growth of survivalism continues, however, one can expect to see an evolution from the short-range, single-family, bomb-shelter approach which prevails today to the beginning of a number of true survival communities. Even at this time it is worthwhile to think seriously about the factors relevant to the viability of such communities. Three of these factors are defensibility, independence, and isolation. Defensibility entails more than manpower and firepower. Natural cover for defenders – and lack of it for possible attackers; ground plan; building construction; security of water, fuel, food, and electrical power sources: these are a few of the physical elements of defensibility to be taken into consideration. None of these is as important as careful, intelligent planning and well-structured organization, however. A community of libertarians – if one may use the word “community” to designate a mere geographical grouping of independent individuals – even if each were a former Green Beret and armed to the teeth, might be far less defensible than a strongly organized community of half as many individuals acting in concert under a single authority. One of the tasks of defense planning is the consideration not only of the short-term threat of marauders armed with small arms, but also of the long-term possibility of attack by government-backed forces armed with heavy weapons. Community defense under the latter circumstance assumes altogether new and different dimensions, but it by no means becomes impossible. Independence is also a factor with both short-term and long-term dimensions. In the short term one might be content with the ability to survive an interruption for a few weeks – or few months, at most – of the supply of life’s bare necessities from the outside world. It might suffice to have a store of non-perishable food, a few drums of water, an underground tank of fuel. A community with only such short-term capability for self-support becomes non-viable in the event of a general breakdown of the U.S. economy, of course, unless it can create its own life-support system within a few weeks. Much more satisfactory is a community which establishes its total independence in the realm of necessities – food, water, fuel, arms and ammunition, tools, spare parts, medicine, waste disposal – from the beginning and only depends upon the outside economy for nonessential goods and services. Better yet is a community which is self–sufficient in every way, although size will certainly play a determining role in this regard: a community of 20 persons will be doing quite well to have one capable teacher for the community’s children, one physician for its ills, and one skilled mechanic to keep its tools in repair. Many of the products and services available in the larger society will simply be denied to them. With 100 carefully selected members, however, the range of possibilities increases more than proportionately: a blacksmith, a machinist, an armorer, an electronics technician, a dentist, an agronomist, a chemist, a glassblower, a stock breeder, a stonecutter, a tanner, a weaver, a miller, an aircraft pilot – even an artist, a poet, and a musician or two become feasible. These last.named may be considered fully as valuable – i.e., functional – as the others, in the long term, when it is not just the physical life, but also the spiritual life of the community which must survive. Of course, everything depends upon planning and selection. A community of 100 persons thrown together in an emergency and without foresight would likely have not a single one of the specialists mentioned here among its members. And it is our race’s specialization, our division of labor, which has given us our efficiency and made possible our cultural progress. A survival community, or any small community, has more use for generalists – versatile people who can do several things passably well (or can learn to do them) – than does a large community, but the specialist, who can do one essential, productive thing very well, remains an extraordinarily valuable asset. Taking the very longest view, where one considers the most fundamental purpose for survival and accepts as that purpose not only the preservation of genes during a time of racial decay in the larger society, but also the continued progress of the race, its continued ascent of the long and slow path toward ever higher levels of self-consciousness, one sees in the cultural richness of a survival community, in the scope and depth of its specialization, more than functional value; one sees a part of the end as well as the means. For the self-consciousness of our race is advanced as much by the special genius which allows us to peer with growing understanding into the innermost secrets of the atom or the farthest reaches of distant galaxies, though in a different way, as it is by the special genius of a Beethoven or a Nietzsche or a Milton. And it is, of course, not only our race‘s genes which are under assault today, but every aspect of our cultural heritage as well. In the long term, then, one would do well to think of a White survival community as an ark and to plan it accordingly, to the extent possible. The foregoing considerations accentuate the importance of geographical isolation. A masonry apartment building in New York City or Chicago or San Francisco might be made defensible by bricking up the windows on the first few floors and installing a machine gun nest in the lobby (registered with the Bureau of Alcohol, Tobacco, and Firearms, of course). It might also be made reasonably independent, even in the long term, by drilling a well in the basement ·and erecting a wind-driven generator and greenhouses on the roof. It is difficult to imagine any sort of White life surviving in such an urban enclave for more than a few years, however, as the life outside the walls becomes ever more alien and degenerate. Unless the building were virtually sealed off from the rest of the city, like a Trappist monastery, the cultural decay outside would inevitably penetrate the walls, and racial decay would follow. The problems would be much like those faced by traditional-minded parents today, who simply cannot cope with the influence of television, schools, and peers in determining their children’s attitudes and behavior, no matter how much attention they devote to the task. Even the Amish and other relatively isolated communities whose intent is to preserve traditional beliefs and life–styles are not immune to the degeneration which today is seeping in from the outside and causing an inevitable attrition. In the coming months the National Alliance will be exploring the aspects of a White survival community mentioned here, and many other aspects as well, with the intention of building such a community in the future. Inquiries from interested readers of National Vanguard are invited.